Kumbh Mela is the largest religious gathering in the world. Kumbh Mela is a sacred Hindu pilgrimage that occurs four times every twelve years and rotates among four locations of India: Allahabad, Haridwar, Ujjain, and Nasik. 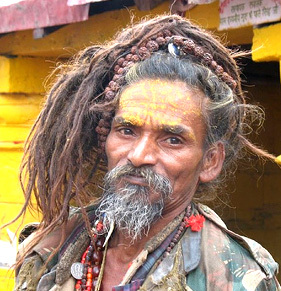 During this Kumbh Mela, which is considered to be the most important Hindu spiritual gathering, thousands of sadhus and pilgrims come from all over India and abroad. 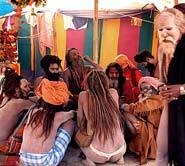 The most important features of this Mela are furious and exotic Naga Sadhus covered in ash, matted hairs and are known as preserver of faith. 4. Nasik (in Maharashtra) on the banks of Godavari River. 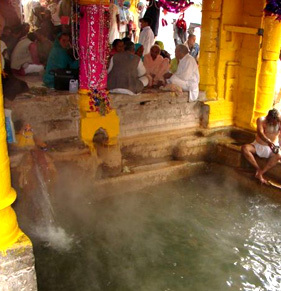 Kumbh's history is very old and originates from dates back to the time when Amrita Kalasha (pot of nectar of immortality) was recovered from Samudramanthan (the churning of the primordial sea). 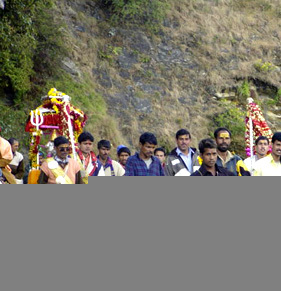 During this churning process, the Mandara Mountain was used as a churning rod, and Vasuki, the king of serpents, acted as the rope for churning. In this entire churning process, Dhanwantari, the divine healer, appeared with the "Kumbh" containing nectar in his palms, when the Kumbha (pot) containing the Amrita Kalasha appeared. After this a tense war between Devtas (Gods) and Asuras (Demons) ensued. For twelve days and twelve nights (equivalent to twelve human years) the gods and demons fought in the sky for the possession of this pot of amrita. 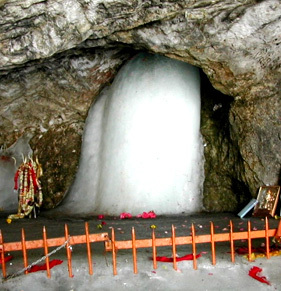 And it is said that during the battle, drops of amrita fell on to four places: Allahabad, Haridwar, Ujjain and Nasik. 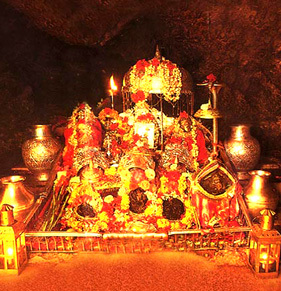 To commemorate this holy event of the Amrita Kalasha Kumbh is celebrated at these four places. The last Kumbh Mela was hosted at Allahabad in Jan 2007 during the months of Jan - Feb. During this 45 days carnival, more than 65 million Hindu pilgrims took part and make it the largest gathering. 6. 15 March 2010 (Monday) - Somvati Amavasya - Dvitya Shahi snan - Second Royal Bath. 9. 14 April 2010 (Wednesday) - Baisakhi - Pramukh Shahi Snan. 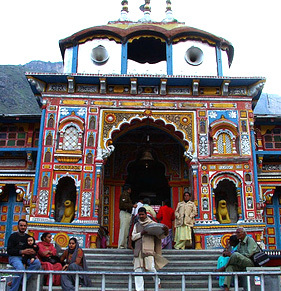 Located on the foothills of Shivaliks, Haridwar is known as Tapovan, Mayapuri, Gangadwar and Mokshadwar in the ancient scriptures. 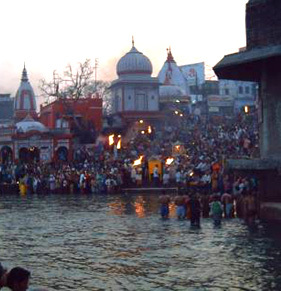 Haridwar is one of the four holy sites for Kumbh Mela and among the seven sacred cities of India. 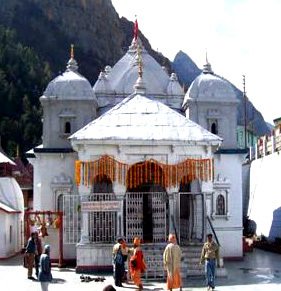 It is a city with enormous religious significance and a key pilgrimage town for the Hindus. 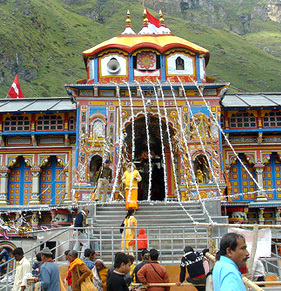 The next upcoming Kumbh Mela in Haridwar is in 2010. As always, millions of sadhus are expected to come for taking dips in the Ganges on this time. So, this time let your heart soak in all the spirituality to the holy land of Haridwar in Kumbh Mela of 2010.